I shared before the amazing level of professionalism in Moldovian sports men and women despite the terrible conditions and lack of finance which makes food, medicine and participation at tournaments that pushes a sport person towards the upper pedestals. It is the same reason I left the country at the pick of my career but this post is not about me. This post is about the person who stayed on and managed to do the almost impossible. 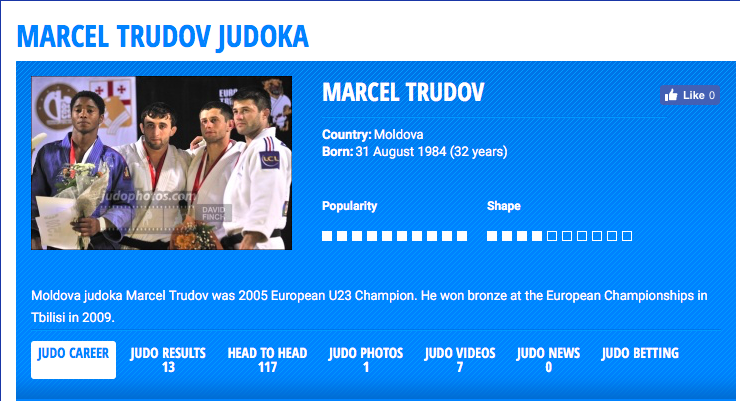 Marcel Trudov (http://www.judoinside.com/judoka/25516/Marcel_Trudov) who through the poverty and struggle to maintain basic needs as a family man and a sports person became the European Champion in 2005 and a bronze European Medal in 2009. He now activates as a coach and has other couple of jobs as you do in a country like Moldova to stay alive. 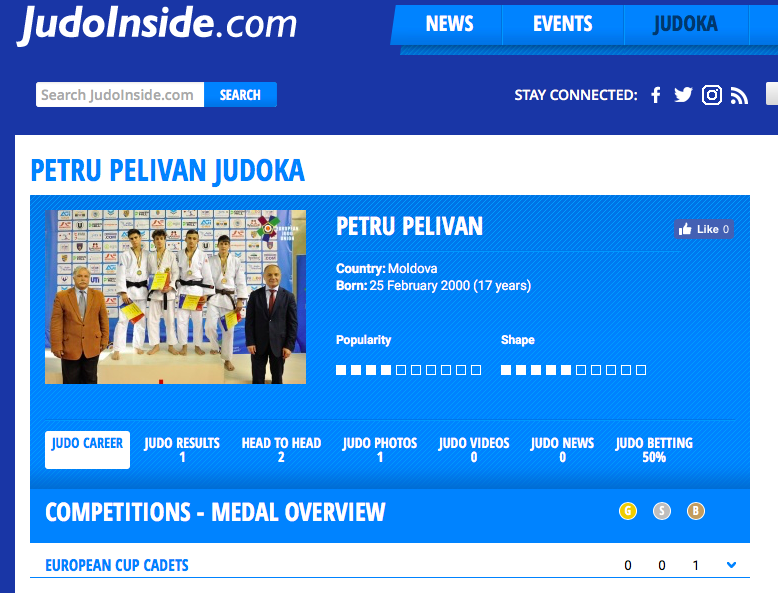 He contacted me to support one of his successful disciples Petru Pelivan (http://www.judoinside.com/judoka/106094/Petru_Pelivan) to participate at an European Cup in Berlin (https://www.ijf.org/competition/1487) which will give Petru an extra practice to be stronger at the coming European Championship. 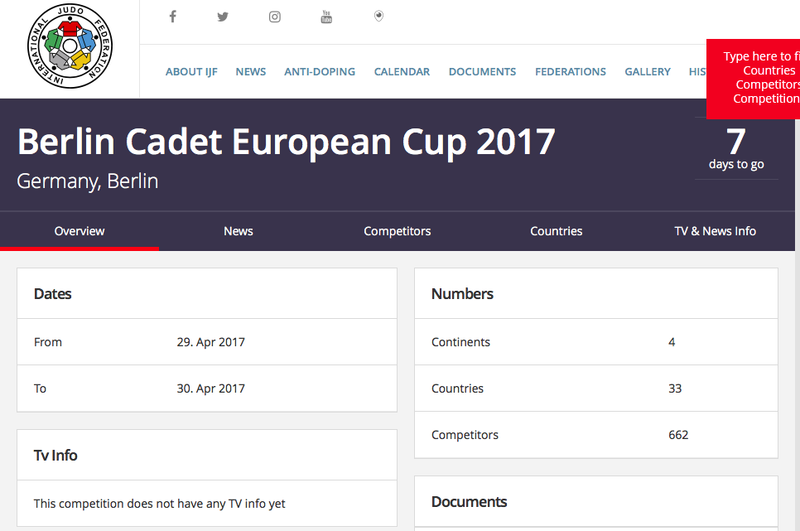 As the Federation only finances a handful of tournaments a year, those who will succeed are those who are really talented or have money to finance any extra tournaments outside of what is financed by the local federation. Anyway, we though to change that and support sports people and finance by peer investment. BECOME A PROWD SUPPORTER OF A FUTURE STAR AND BE WELCOME TO COME AND SHAKE HAND AT THE COMOETITION.